In June 2016, our All Access with State Theatre New Jersey co-host and 1450 WCTC morning host Bert Baron was inducted into the New Jersey Broadcasters Association's Hall of Fame. This year's class includes Townsquare Media broadcaster Ed Hurst and radio legend Casey Kasem (posthumously). We recently sat down with Bert to chat about his career in radio and what it feels like to be inducted into the Hall of Fame. At what age did you decide that you wanted to be in radio and why? I was in my mid-teens, and growing up in North Jersey exposed me to some really great radio. We had all of the New York stations, who were constantly trying to outdo one another, and you had some very good stations in the Jersey suburbs. I think just listening to the disc jockeys, the talk show hosts, and the news announcers is what appealed to me. I thought, "Hey if these people are able so succeed at this, why can't I?" What was your first radio gig? It was a very "glamorous" internship at a small station in rural Hunterdon County called WDVR. The gig was to pull the records out of the music vault for a Saturday Night Polka Show, and read the news headlines each hour. My first paying gig was also in Hunterdon, at WJHR in Flemington. I was the night DJ, which was perfect for someone who was new at the biz. I could learn at my own pace, and also learn about the different aspects of broadcasting. I learned how to do production and write commercial scripts. I learned how to schedule the music for the next day's playlist of songs. I learned how to manage transmitter logs and how to keep a station on the air legally. I produced baseball games at night. It was really just the perfect environment for learning. Our industry has sadly stopped emphasizing the learning aspect. That's a bit troubling to me. Tell us what it’s like to be a morning show host. What’s a typical day? That's the beauty of having a morning talk show. The work "typical" rarely describes it. My day starts at 3 AM, gathering news and information that I feel would make for good talk topics for the day. Once I have a few things locked in, then I decide where in the 3-hour show they should go. Considering the necessary time allowances for news updates, traffic and weather reports, and the daily contesting, it's like putting a giant puzzle together. And more days than not, something else will come along during the show that will need to be covered, and that's where I need to be nimble. The ability to turn on a microphone, and speak unscripted to thousands upon thousands of people each and every day is a powerful privilege. That's what makes talk radio unique and special. Baron (center) co-hosting All Access with State Theatre New Jersey on stage at The State. Tell us what it means to you to be inducted into the New Jersey Broadcasters Association’s Hall of Fame? Wow, it's really something I would have never imagined being bestowed upon me. The Hall Of Fame is restricted to only the very best of their particular eras, and the names of those already enshrined are all legendary. To be placed in that arena, with truly the greats of this field, is an amazing honor. The criteria for inducting an athlete into a Hall Of Fame is "can the story of the sport be told without including the accomplishments of those particular individuals." In my case, I guess the story of New Jersey radio can't be told without including what I've been able to achieve. And that's pretty cool. Who have been some of your most memorable radio interviews? There have been a lot over the years. Everything from a pilot in the basket of an aloft hot air balloon, to celebrities, politicians, athletes, and rock stars. Don Felder, George Thorogood, Felix Cavaliere, and Southside Johnny are some of the more recent ones. Well-known people too like Bobby Flay, Kathie Lee Gifford, Ian Anderson from Jethro Tull, Chazz Palmintieri, Cybill Shepherd, Regis Philbin; it's really a long list of famous people. But one of my most memorable interviews was with a suicide attempt survivor. He jumped off the Golden Gate Bridge in California, and now tours the country talking about prevention. During the interview, I told him that the world was a much better place with him in it, and we both had a tough time keeping it together. A powerful, unforgettable moment for me. What advice would you give to the aspiring radio hosts out there? My path to the Hall Of Fame has been anything but typical, but I think a good place to start for anyone trying to break into radio is this: be as good as you possibly can, at as many different things as you possibly can. Successful programming is just one ingredient in the recipe of a successful station. There are lots of DJs and talkers out there, but at the end of the day, it's versatility that wins out. Learn to write and produce audio. Master the social media platforms. Earn the trust of those around you. And most importantly, don't be scared of change. Oftentimes, our fear of change blinds us to the new opportunities it sometimes creates. Keep your eyes open, and try to learn something new every day. 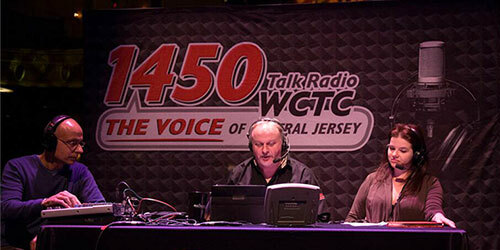 Listen to Bert Baron live on 1450 WCTC, weekdays from 6am-9am. 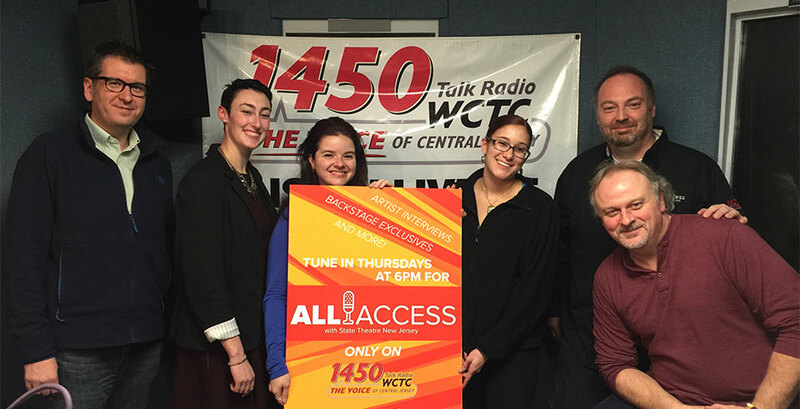 Also, catch him on All Access with State Theatre New Jersey every Thursday from 6pm-7pm on 1450 WCTC.